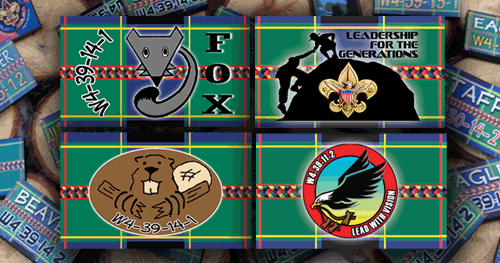 WOOD BADGE WOGGLEZ & MORE! 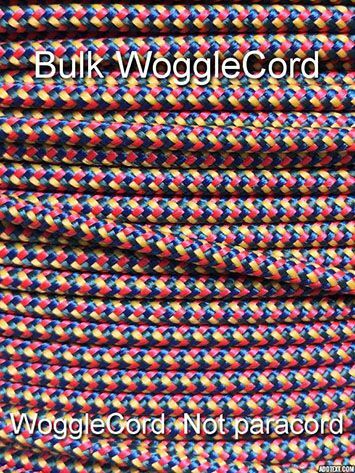 Created especially for Wood Badge, this WoggleCord can be used to make your own Wogglez and more. 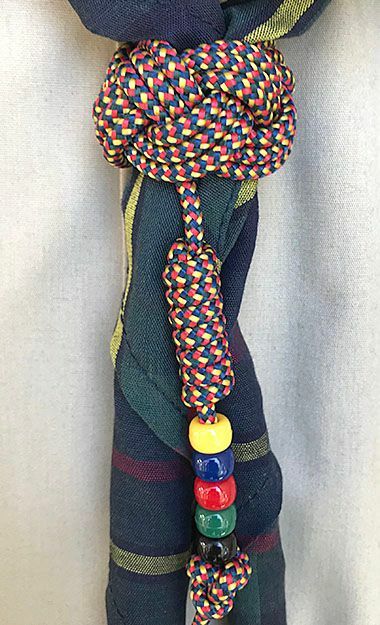 5/32" thick in Wood Badge colors, Blue, Green, Gold and Red. Ask about our Quantity Discounts. 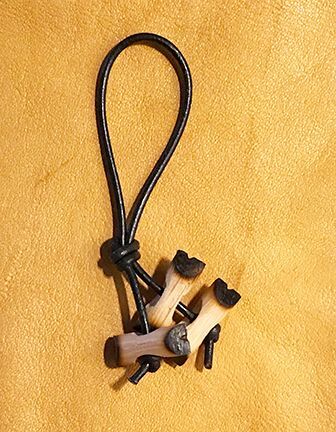 The Wood Badge Leather Woggle is different than any other Woggle. Only leaders that have passed the test. 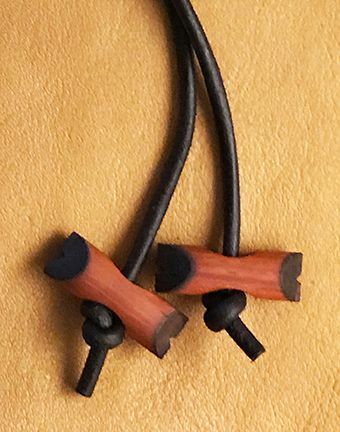 I hand make each Miniature Woggle to be worn every time you wear your Beads. Size 1/2 X 1/4. High resolution images are transferred to a real wood branch cutting. Size is 1.75"H X"1.5W". 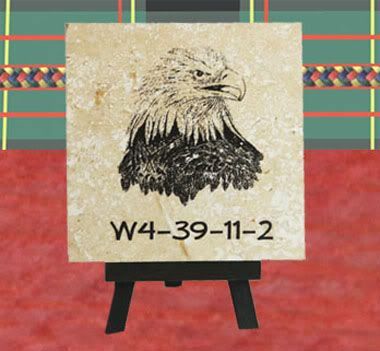 Images are protected by a clear coat of polyurethane for a lifetime of memories. 8 different Critters available. "Woggle NOT Included"
Custom Handcrafted Course Pins. 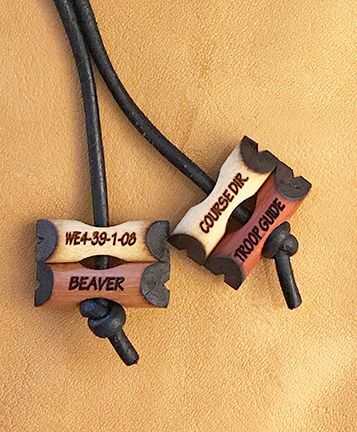 Keep your memories of Wood Badge for years to come. Say it the way you want. We make an excellent lightweight Hat Pin. Special pricing on higher quantities. Wood and Lapel Pin Hardware.